My Big Ol’ November 2014 Signing Schedule! Posted on October 22, 2014 by D.J. Saturday November 8, 2014: The Culver City store Grand Opening party, signing all my books, alongside some other terrific creators! And then the release signing parade starts…! Wednesday November 12, 2014 from 6pm to 9pm: Amelia Cole and the Enemy Unleashed TPB signing! Wednesday November 19, 2014 – Back to the Bug’s Culver City store for a The Bigger Bang #1 release signing from 5pm to 8pm! Wednesday November 26, 2014: The Bigger Bang #1 signing at the Manhattan Beach store from 5pm to 8pm! 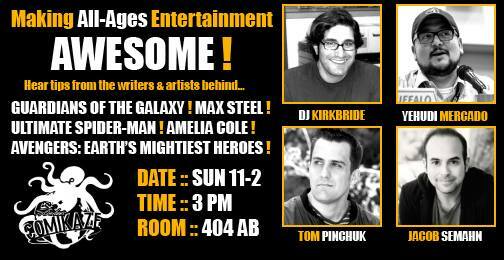 AMELIA COLE AND THE HIDDEN WAR signings! Posted on April 24, 2014 by D.J. On Wednesday, May 7th, the second volume of AMELIA COLE is released in print from IDW Publishing. 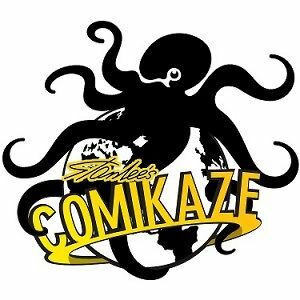 AMELIA COLE AND THE HIDDEN WAR collects issues 7 through 12 of AMELIA COLE, plus loads of extras, including some exclusive one-page comics, pinups, a sketchbook, and more! To celebrate, I’ll be signing the book at Golden Apple Comics from 6pm to 9pm! And on Wed May 14th, I’ll be signing at The Comic Bug from 11am to 2pm and again from 5pm to 8pm! Please stop by to one of ’em — or both if you need an extra AMELIA COLE fix!